An independent Scotland is inevitable, if the latest opinion poll is to be believed. But it won’t be the vote in September which sees Scotland cut itself adrift from the rest of the UK. The Yes campaign is gaining support, hitting 40 per cent according to a Panelbase poll published on Thursday. That puts support for an independent Scotland at a six month high. But it is still incredibly unlikely the Yes campaign will be triumphant in September’s referendum, as those wanting to keep the union still account for 45 per cent of voters. The Yes vote are targeting the 15 per cent of ‘don’t knows’, but that group tend to eventually split the same way as those who have already decided. So the Yes campaigners will lose the battle in September, but they are on their way to winning the war. The fact that support is increasing for the separatists is worrying when you consider the backdrop. 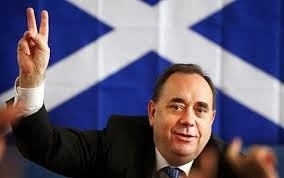 Since the turn of the year, SNP leader Alex Salmond’s version of independence has been ripped apart. Currency union? – No, says Westminster. No threat to jobs? – BP, Shell, BAE and Standard Life have all expressed serious concerns about Scotland going alone. Yet, support for an independent Scotland has GROWN since all of these interventions; some might argue because of them as accusations of ‘bullying’ gain credence. That means that between 40-45 per cent of Scots have made their mind up based not on economic and political factors, but for other reasons. Wanting their own country; tired of being dictated to by Westminster; sick of suggestions Scotland ‘lives off’ England. So how long can Scotland stay in its marriage to the UK when up to 45 per cent want a divorce – seemingly no matter what? And this is something which Westminster needs to consider. More importantly, it is something Labour needs to be incredibly worried about. Since 1945, the fortunes of the Conservatives and Labour north of Hadrian’s Wall have gone in opposite directions. Between 1945 and 1955, there was no huge bias either way in how Scots voted in Westminster elections. 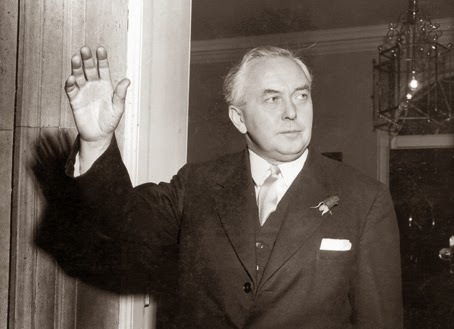 In 1945, Scotland returned 27 Tory MPs and 37 Labour. In 1951, both parties secured 35 Scotland MPs and in 1955 the Tories actually won two more seats than Labour – 36 as opposed to 34. It began to change in 1959, where Harold Macmillan’s Conservative Party won 31 Scottish seats, as opposed to Hugh Gaitskill’s Labour which won 38. Since then, the Tories have been on a downward trajectory north of the border, culminating with them not winning a single Scottish seat in the 1997 General Election. While Tory support has virtually disappeared in Scotland, Labour’s fortunes have gone in the other direction. In Blair’s first election victory Labour won 56 out of a possible 72 seats. I looked back at every general election result since 1945, and when you take away the Scottish seats from the results it is clear that Labour would have spent less time in Government, the Conservatives would have won more elections and the Liberal Democrats would not have found themselves in coalition today. Analysing the figures shows Harold Wilson would have lost the 1964 and February 1974 General Elections to the Conservatives. Clement Attlee would have been forced to try and rule with a minority Government in 1950 (he would have been 17 seats short of a majority). The second election of 1974 would have also returned a minority Labour government – with Wilson having seven seats fewer than the rest of the House combined. And the most recent General Election in 2010 would have returned a Conservative government with a majority of 19. It makes you wonder why David Cameron is so determined to keep the union together. If I was a Labour supporter, I would be incredibly worried. Scotland will become independent – maybe not in this generation but almost certainly in the next, and Labour will lose a key pillar of electoral support.